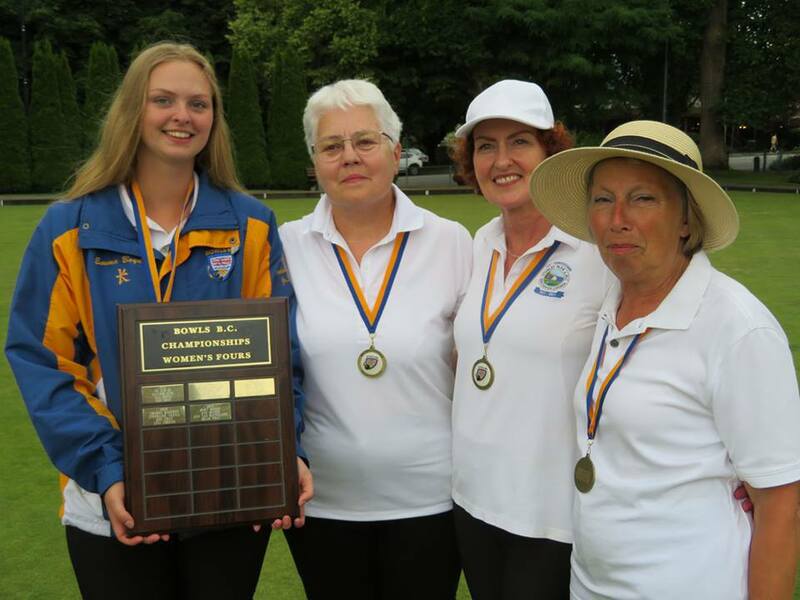 It was another great weekend of Bowls at the North Vancouver LBC as players from across the Province headed to the NVLBC for both the Women’s and Men’s Fours Provincial Championships. With much on the line as both the Gold and Silver Teams will represent British Columbia at the Canadian Championships at the end of August in Regina, Saskatchewan. First up for the Women it was Josephine Lee and her team that made it through the tough field on their way to the Gold Medal game only to be stopped by young gun Emma Boyd’s squad of relatively new players with Cheryl Young, Laurie Fredrickson and Sue Hall. This was the same result in the Provincial final for Josephine’s Team but they would go on to win last years Canadian title. Both Women’s Teams have booked their spot at the Nationals and will do battle again in Regina. The Team of Marlene Cleutinx would eventually win the Bronze Medal. In the Men’s Division it was the Team of Hirendra Bhartu, Derek Kaufman, Joe Hunt and Tim Mason that would overcome a tough start to the competition and win out the rest of the games to win the Gold Medal. In a great final game against Kin On Lau the Bhartu Team dug deep to battle back to get over the line. The Bronze Medal was won by Christie Graham. Congrats to everyone who played and a special thanks to all the Umpires, Volunteers and to the North Vancouver LBC for hosting this years Provincial Fours Championships.